An early teaser trailer for Hypothermia. 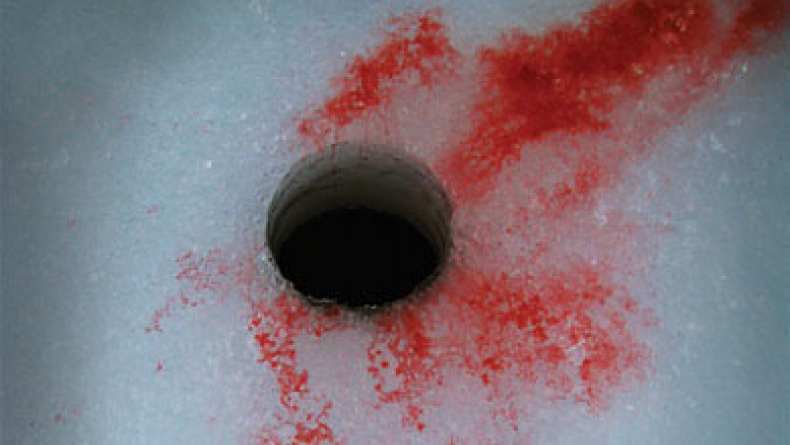 Something is living beneath the frozen waters of Lake Noyade -- something large and on the hunt. Two families come to the remote lake for ice fishing season to find that there are neither fish nor wildlife of any kind left in the area. There is only the large, dark shape slipping through the icy waters. Is it a man? A fish? Perhaps both? One thing is for certain -- the creature is hungry and the only prey left is human. Hypothermia is a classic monster movie in the tradition of THE CREATURE FROM THE BLACK LAGOON for the cold climate set.